Emotion and the vocabulary of tasting. 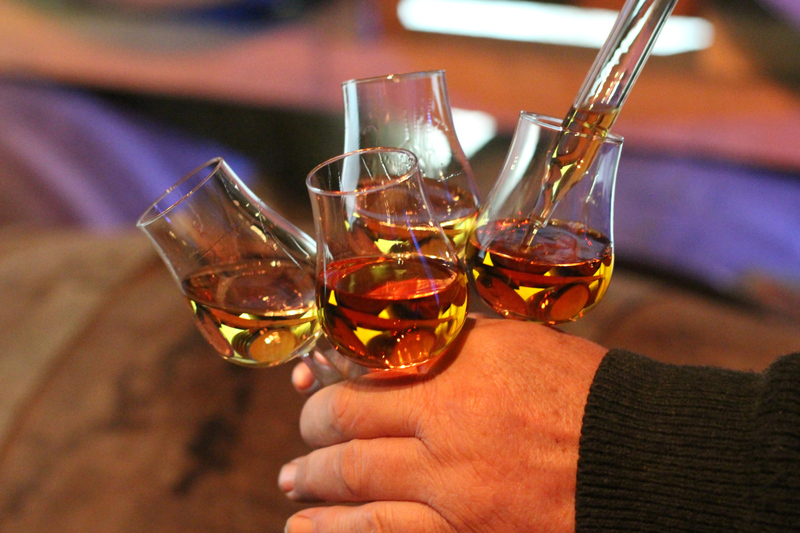 There’s not just one but many ways of tasting cognac. It’s true that this exceptional eau-de-vie makes one think of tradition and way of life but it can also be surprisingly up to date. 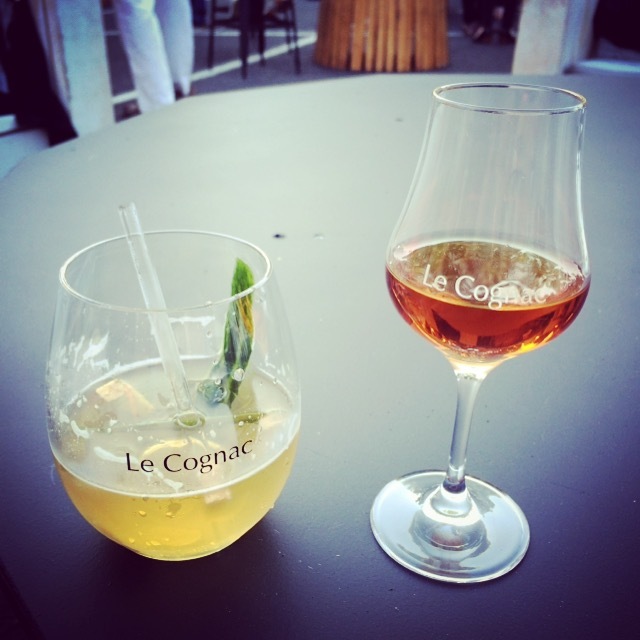 Whether aperitif or digestif, on the rocks or neat, short or long drink or when used in a cocktail to complement other drinks, cognac lends itself to every situation. The best way is to try it neat, one to one. Open your eyes wide, your nostrils, your taste buds and serve the cognac at room temperature in a tulip-shaped glass that enables the arrival of all the aromas to be arrayed during tasting. Whatever the age of the cognac – VS (two years), VSOP (at least four years) or XO (at least six years) – you will be able to discern and break down its aromatic richness even better. For the myriad other ways of tasting cognac, we have just one suggestion to make: be creative and feel free! The aromatic richness of cognac can be grouped into different families of flavours and aromas. Try a tasting and have fun putting words and pictures to your emotions, initially to absorb them and then to share them. Apart from “rancio”, with its notes of autumnal undergrowth, mushrooms and walnut oil – aromas that come specifically from a long aging period in oak casks and with an intensity that increases over time – you also find notes that are fruity (they appear according to the maturation of the cognac – 40 year-olds have notes of coconut and passionfruit), floral (rose, violet and daisy are the main aromas of a young eau-de-vie), woody (30 year-olds have notes of sandalwood, cedar, cigar boxes) or spicy (15 year-olds reveal notes of ginger, curry and cinnamon). For the professional, tasting during the preparation of eaux-de-vie is a serious job that enables the different periods of distillation to be controlled and then to follow the aging process. It’s thanks to his talent and tasting experience that the cellar master is able to produce the remarkable blends that make for great cognac. 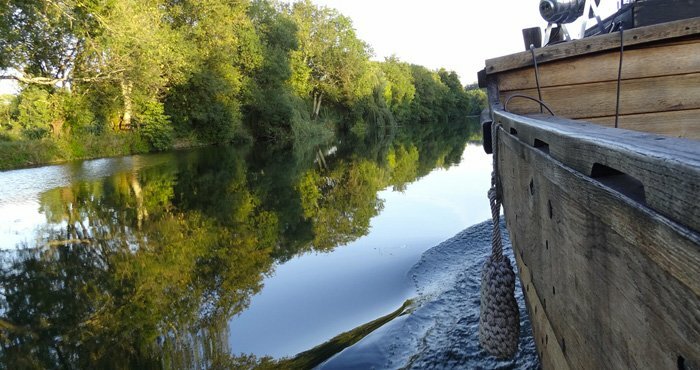 Discover the savoir-faire of the cognac from the vines to blending to cooperage : visit the famous cognac houses or meet winegrowers.